I know the feeling. 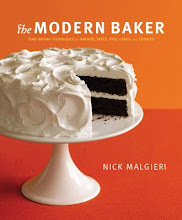 I have this book, too, but I actually saw the recipe online first. This looks amazing. And I really want to make that truffle butter! Both the truffle butter and turkey are so easy. And crazy good! I’m in the truffle oil camp of never using! But will have to get a bottle at World Market – the bird looks wonderfully and evenly browned! Impressed at the butter-making as well. Leave it to Ina… I love that remark “how easy…” it’s classic. Now that I know how good truffle butter is, and what a wonderful flavor the truffle oil adds to dishes, I’m going to stock up on it. Interesting. I am in the midst of thanksgiving menu planning at the moment and I admit that you have piqued my curiosity with this one. How strong would you say the truffle taste was? Subtle or strong? Subtle, but definitely there. 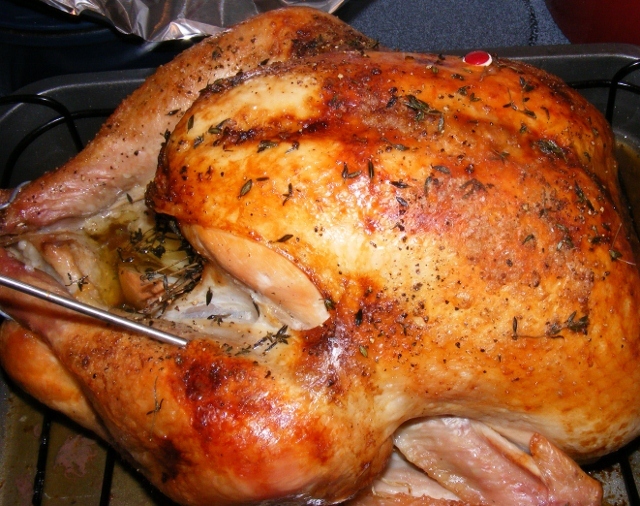 Check out the Thanksgiving Dinner Roundup for more great recipe ideas! This looks wonderful – crispy skin, juicy meat. Could you still taste the truffle after cooking? I imagine it would be more of an aroma thing? Lerrrve truffle butter. You could still taste the truffles, in addition to the aroma. Wow, that is some Thanksgiving bird…the best ever means I have to try it and while I am not in charge of the bird for the family dinner, I do make a turkey for us this time of year (when you visit for Thanksgiving you never have any leftovers!). Thanks for hosting this dinner…now how can we make it so that we can all do this in person sometime? I would LOVE for us all toget together for Thanksgiving, or any other meal! This bird is so good, I’m afraid there won’t be enough leftovers. So I bought an extra bird at the grocery the other day (they were on sale for $0.69/lb; how could I not buy it? ), which I’m going to roast the day before Thanksgiving as a “leftover” bird. to answer Ina’s question: it’s as easy as sourcing truffle butter — or making your own, lol! this really does look like a great turkey, thanks for hosting this fun event and bringing the bird. I soon gave up looking for truffle butter and decided to make my own. It was so good, I’m going to make a pound of it next time and wrap it in 4 oz packages for the freezer. 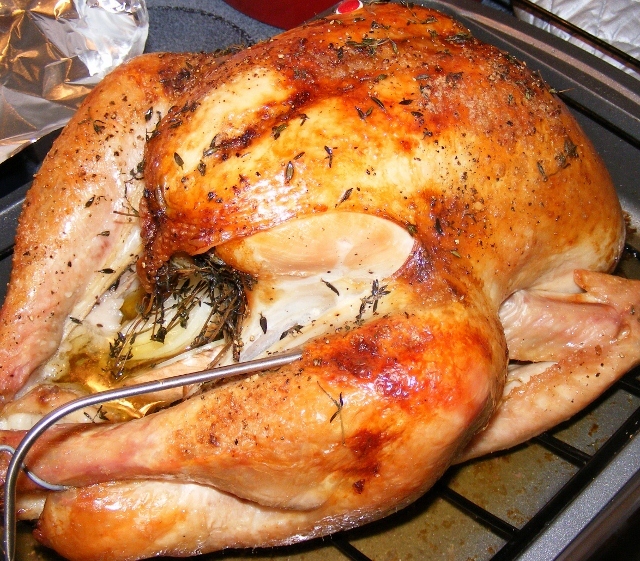 I have no idea what truffle butter even is, but I would love to try thiis turkey this year. I would not know where to even start to look for it? I love turkey and along with a fabulous day of food and family, it is usually my birthday too! But sssh, I don’t want anyone to know I’m getting older! 🙂 I really think your turkey is beautiful. Thanks, Peggy. If you have a Whole Foods or something like that, you can probably find truffle butter there. The grocery store should have truffle oil, and it’s easy to make your own truffle butter with that (not to mention way cheaper). Thanks! It’s definitely worth hunting for or making truffle butter. Beautiful!!! Makes my mouth water! Thanks. I’m making a panini with leftover turkey for lunch. It’s the best turkey ever! No worries on your post. There are still a few dishes to arrive. I’m hoping to post the roundup by mid-week. Truffles are an all time favorite. From the look of your photo, that turkey looks juicy and crispy at the same time. It was! And the truffles add an amazing flavor to the turkey. That is one gorgeous bird! I’ve never been able to convince myself to purchase truffle oil, but I am sorely tempted to try this recipe, and your recipe for truffle butter……. I bought a small bottle at Cost Plus World Market. It wasn’t terribly expensive, and a little goes a long way. This recipe is definitely worth the splurge!